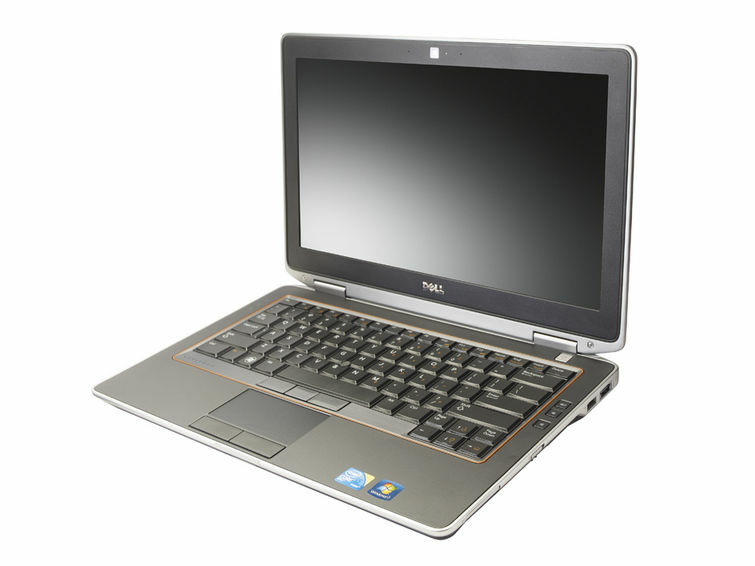 Bán Laptop Dell Latitude E6320 màn hình 13 inch. 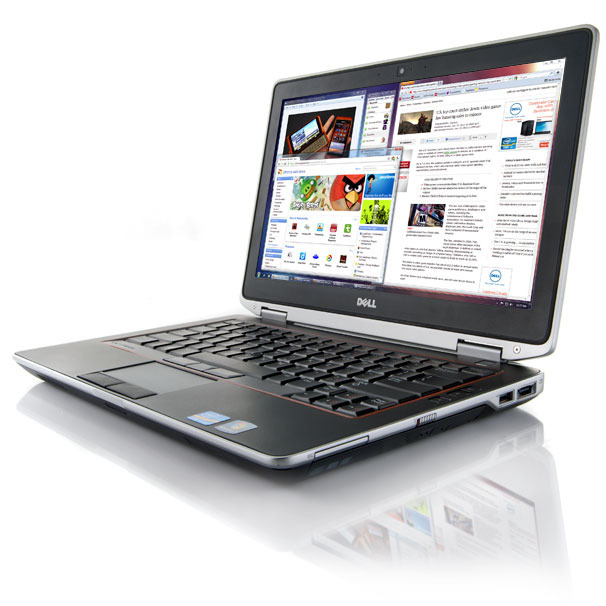 Delll E6320 I7-2620M, I7-2640M, Ram 4G, HDD 250G, VGA Intel HD Graphics 3000. Giá E6320 I7 4.9 triệu. Laptop cũ xách tay - nhập khẩu. Tình trạng còn sử dụng rất tốt. Có cấu hình Core I5, và Core I7. Điểm nổi bật: chạy ổn định - nhanh - cấu hình mạnh - chơi được các game online - dùng cho đồ họa khá tốt Cad, Photoshop, Corel..
Tough and Adaptable. The Latitude E6320 joins the new 2011 revamp of the E-Series with multiple configurations, lots of room for expansion and a sturdy new look. We find out in this review if the 13.3-inch Dell is worthy of a spot on the everyday business user’s desk. Go-anywhere productivity, confident security, efficient manageability and built-to-last durability. These four attributes are what Dell has been pushing for in its Latitude E-Family of notebooks that was introduced in 2008. The Latitude E6320 was released earlier this year as part of the complete model refresh of the Latitude E-Series. Along with the E6420, E6520, E5420 and E5520, the 13.3-inch E6320 is targeting the mainstream business user with extensive features and preferences focusing on build quality and expandability. This boxy notebook has no shortage of options for the end user and is therefore highly customizable in an attempt to appeal to a broader range of business users. In this review, we have a mid-range configuration of the Latitude E6320 with a second generation Core i7 CPU, 4GB RAM and both primary and secondary batteries. Find out here if this 13.3-inch Dell misses the mark or hits the spot amongst casual and business users alike. The chassis design of the E6320 is similar to that of the other 2011 E-Series notebooks such as the E6420 and E6520. In other words, this notebook is definitely dense and immense at first glance and shows a build quality that not many other competing notebooks can match. Dell has outfitted the notebook with a variety of metal alloys from its trademarked Tri-Metal magnesium outer casing with anodized aluminum on the outer lid to a powder-coated magnesium bottom base. The corners in particular have been reinforced with even more magnesium alloy and the taut hinges themselves are made from steel to prevent wear overtime. The casing has even been tested against specific U.S. military standards for dust, vibration and temperature resistance. Compared to other business-class notebooks such as the HP Probook 5330m, we can safely say that this Dell has the slight but notable edge. The above average build quality does come with some caveats, the major ones being weight and size. For a 13.3-inch notebook, the E6320 is quite hefty at 4.75 pounds (2.15kg) with its 6-cell battery attached and is a bit thicker than we would like at 1.0 to 1.2 inches (25.4mm to 30.1mm). The 13.3-inch Vaio VPC-SB1Z9EB (1.741kg) and ThinkPad Edge 13 (1.775kg), for example, are evidently lighter. Additionally, the user must use both hands when opening the monitor lid since the base portion of the notebook will inevitably lift as well. This does, however, demonstrate the quality of the stiff hinges as the base portion itself is certainly no featherweight. With the keyboard and monitor exposed, the feel of the surface surrounding the touchpad stands in stark contrast to the exterior. While the outer casing has a hardened metal impression, the palm rest areas are actually somewhat soft and smooth to the touch. With a moderate amount of force, very slight depressions can be made on either side of the wrist-rests, but definitely nothing major or worrisome. In fact, the notebook base holds up perfectly against any twisting and the monitor lid is almost equally as impressive. The E6320 may not be the most visually appealing notebook in its category, but the exterior build quality is certainly noteworthy to say the least. The Latitude E6320 includes a healthy host of connectivity options, both wired and unwired. In fact, the notebook includes at least one connection slot on each of its four sides to ensure that no one side is too cluttered. This is especially useful for left-handed users where the left side of the notebook can sometimes be too cluttered for comfortable mouse use (i.e., Lenovo X121e). Thankfully, the E6320 is friendly for both right- and left-handed users. Keep in mind that while the notebook includes a built-in HDMI-out, it is a mini HDMI port instead, so users may need to invest in an adapter to make use of the video port. For wireless connectivity, the Latitude notebook comes standard with the Dell Wireless 1501 802.11b/g/n Half Mini Card, but users can also upgrade to Bluetooth 3.0, Intel Centrino Advanced-N with WiMAX or Gobi 3000 HSPA-EVDO Mini Cards with support for the top four mobile phone carriers in the U.S. Our review unit comes equipped with the standard WLAN and Bluetooth modules only, but users who need to stay connected while on the move can opt for the WWAN functionalities as well. Of particular note is the SmartCard slot, which should prove useful for certain business users and professional users. The ExpressCard/34 slot, however, will likely be largely ignored by both mainstream and business users, especially due to the expandability options offered by the modular bay and E-Docking station. Still, we would have liked a built-in USB 3.0 port on the E6320 or even an always-on USB 2.0 port for charging devices while the notebook is switched off. In addition, although we accept the fact that the card reader will only natively accept SD cards, we do not agree with the placement of the reader on the hard-to-reach front edge of the notebook. Most users will have to lift the front of the notebook itself in order to more easily access the card reader, which is an unnecessary chore that could have been avoided if the card reader had been located on the left or right instead. Speaking of the modular bay and E-Dock connectors, these areas are where the E6320 really shines in terms of connectivity. By default, the notebook is included with a Samsung DVD burner, but the optical drive is user-removable and even hot swappable with additional options such as a USB 3.0 module, an extended secondary battery or even a second hard drive. While the optical drive may not be to everyone’s liking (sadly, no Blu-Ray option is yet available), the fact that it can be swapped out at will for more desirable options is certainly welcoming. Optional docking accessories abound for the E-Series because of the docking interface underneath the notebook. For the E6320, Dell offers users the E-Port, E-Port Plus and E-Legacy Extender docking stations. Depending on the station, the docks allow for additional USB 2.0 ports, PS/2 ports, VGA-out, 2x DVI-out, 2x DisplayPort and even Parallel and Serial ports. Additional options, such as the E-View and E-Flat extensions, are special stands that attach through the E-Dock port for easy leveraging of the laptop. Essentially, the notebook becomes a desktop replacement assuming the user has access to the right combination of peripherals. 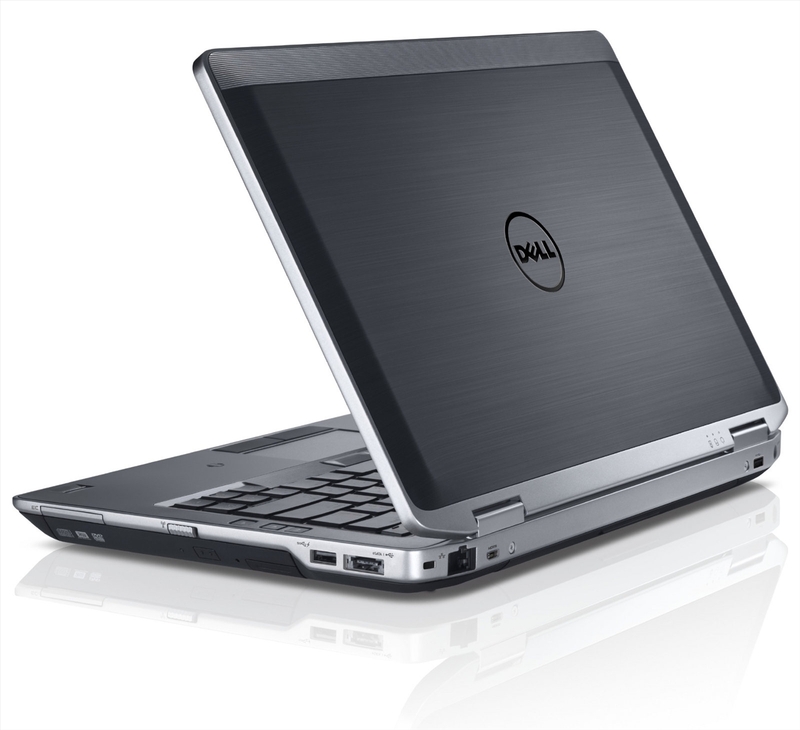 Dell usually offers a wide range of warranty options for its notebooks and the tradition continues here. The E6320 is available with a basic 3-year hardware warranty and mail-in service. The 6-cell battery in particular could be purchased with its own 3-year warranty as well. Users have the option to upgrade to onsite services with remote diagnosis if needed for up to 5 years. An advanced service plan, which includes Dell’s ProSupport, is another 3- to 5-year optional warranty option. With this extended warranty, users can expect same-day on-site service around the clock, useful for IT environments in particular. The adequately sized (295mm x 130mm), spill-resistant keyboard uses slightly raised keys in a chiclet-style makeup, but each key is not entirely flat due to its raised rectangular form (see picture below). Because of these bumps, the keys may appear smaller than they actually are with less surface area for finger contact. Fortunately, typing is still comfortable and the keys are quite quiet, even the normally loud Enter and Space keys. Tactile feedback is a bit shallow but still firm overall. No key is particularly undersized as well, such as the Page Up and Page Down keys that are usually much smaller in similarly sized notebooks (i.e., Acer Aspire S3). Additionally, the backlight works as intended with four levels of intensity and makes the E6320 more painless to use in poorly lit conditions. Not every key is lit, however, as the dedicated Volume Up, Volume Down and Mute buttons to the right of the keyboard are without any backlighting. We also feel that the keyboard could have been a little wider to satisfy users of larger hands, but beyond the minor complaints, most users should find the keyboard easy to work with. The touchpad on the E6320 is unfortunately quite small at only 80mm x 40mm due to the lack of vertical space. The keyboard may be the culprit here as the arrow keys protrude beyond the area of the keyboard (see picture below), thus giving less room for the touchpad. The touchpad is further reduced in size by the two dedicated left and right buttons immediately below it. A number of manufacturers have been integrating both these keys into the touchpad itself (i.e., Asus UX31) in order to allow for more surface area, but this workaround is nowhere to be found on the Dell E-Series. Instead, the E6320 offers a trackpoint (or Trackstick) if users consider the touchpad too small to use. Unfortunately for this review model, the Trackstick appears to have broken off for reasons unknown, so a direct assessment of the usability and accuracy of this particular pointing device cannot be drawn in this review. But, the Trackstick in the similarly built E6420 and E6520 was able to provide great performance in each of our two reviews and was tested to be on par with the trackpoint on the ThinkPad T420. We can only assume that the Trackstick on the E6320 would perform with similar results. Still, the touchpad supports multi-touch gestures and the controls can be easily accessed and customized through the control panel. 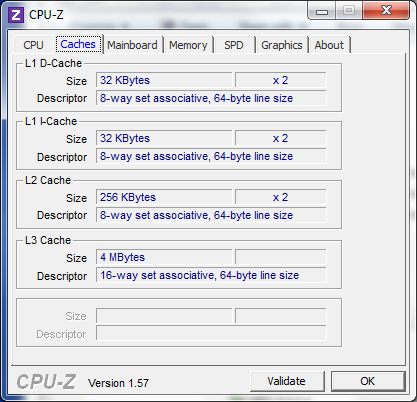 Common gestures such as panning and scrolling are enabled by default, but users can permit flicking and quick launch features as well. Meanwhile, the five physical buttons surrounding the touchpad are surprisingly quiet with adequate tactile feedback. They may be a bit cramped and on the soft side when pressed, but we found them responsive nonetheless. The E6320 uses a 13.3-inch matte display with a resolution of 1366x768 pixels. This resolution is common for notebooks of this size, although certain 13.3-inch notebooks may offer higher resolutions, namely the 2011 MacBook Pro. Especially with prices starting north of $1000 for the E6320, we were expecting a bit more pixels packed into the Dell. Subjectively, text and photos appear clearly, if not unremarkable, on the display. With the Gossen Mavo-Monitor, a high of 203 nits was measured from the center of the screen. When unplugged, this fell to 170 nits only. While this is fine for office use, we would have liked the screen to be above 200 nits on average from all 9 measured spots for acceptable outdoor usability. 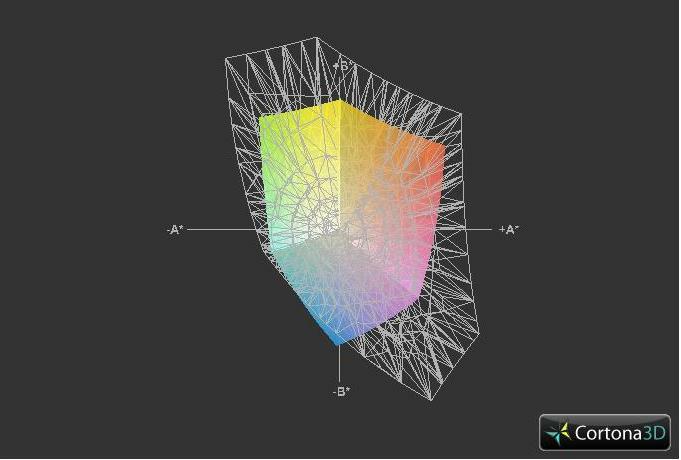 The brightness distribution of the display, however, is quite uniform. 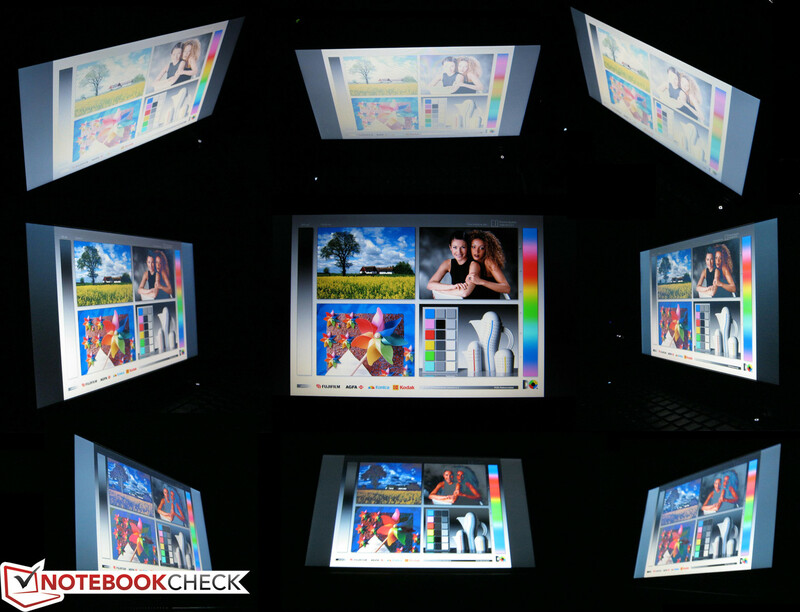 The contrast and color space of the E6320 are both modest. The notebook is able to reproduce about 60.8 percent of the aRGB standard and is about on par with the display of the ThinkPad T420. 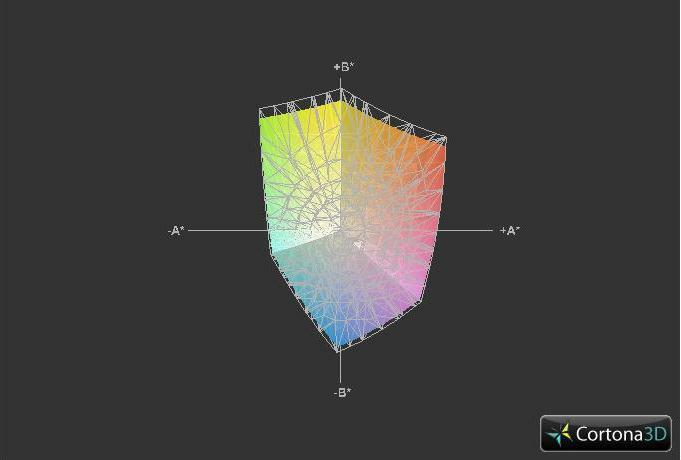 While everyday users won’t take notice, most digital artists or web designers who require precise color representation would probably want to stay away from using the E6320 as the primary work horse. As mentioned earlier, don’t expect outdoor usability to be the best. Text and web pages can be difficult to read on a sunny day, so we definitely suggest tuning the brightness to its maximum even if under shade to prevent eye strains during long outdoor sessions. The matte finishing does help in preventing glare, so the insufficient brightness is the main obstacle. But, as an indoor business notebook, the screen is more than adequate for use in conference rooms and coffee shops. The built-in HD webcam is capable of both pictures and recordings of up to 720p (1280x800) with better than expected quality. The camera is fast and smooth, even when at its maximum resolution, but we still suggest being in well-lit rooms for the best results. Viewing angle stability is notebook-typical and nothing out of the ordinary for a TN panel. 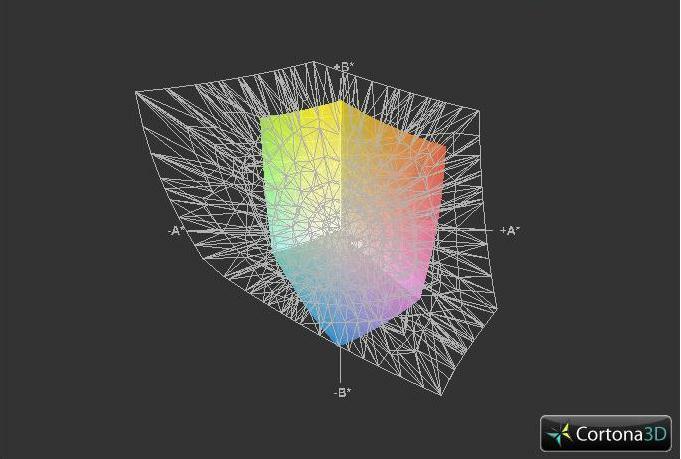 Colors are most sensitive from angles below the normal but are good from side to side or from above. 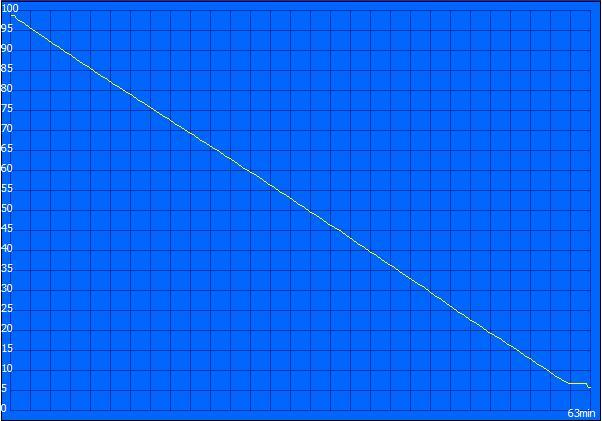 Still, we wouldn”t suggest viewing at an angle greater than 45 degrees from either side. As long as the sole user is viewing the monitor head-on, the limitations of the TN panel shouldn”t be an issue. 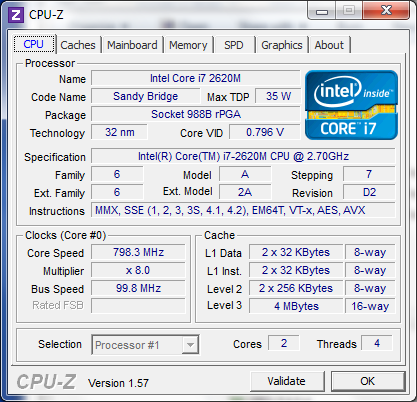 The E6320 in review is powered by an Intel Sandy Bridge Core i7-2620M CPU at 2.7GHz with Turbo Boost up to 3.4GHz. 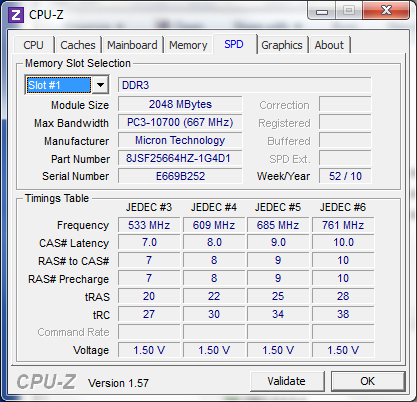 This dual-core CPU was first released in Q1 2011 as one of the fastest dual-core processors at the time and it definitely still holds its own almost a year later. For those wanting an even faster CPU, Dell also offers the E6320 with a 2.8GHz Core i7-2640M, although more mainstream options such as the Core i5-2540M, Core i5-2520M and Core i3-2330M are available as well. The fact that the E6320 is able to pack full-voltage Sandy Bridge CPUs is certainly a plus for power business users who may be unsatisfied with lower-clocked ULV models. Regardless of CPU selection, each configuration comes with integrated Intel HD 3000 graphics. In this particular model, the integrated GPU runs at a base 650MHz with Turbo Boost support up to 1.3GHz. But in the end, the Intel HD 3000 is still meant for users with low 3D performance expectations. Don’t anticipate anything outside of smooth HD video playback, Flash games and light gaming out of this notebook. 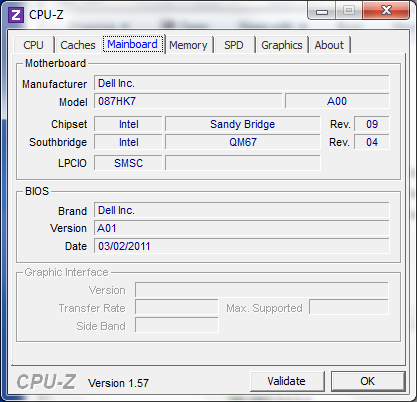 See here for an extensive review of this integrated Sandy Bridge graphics chip. For RAM, the E6320 starts at 2GB, although our review model includes 2x 2GB PC3-10700 DDR3 user-removable modules. RAM can be configured up to 8GB, but we recommend at least 4GB for the majority of users. The base plate can be removed for RAM and Mini Card access, but the many screws can be quite soft and difficult to take out. In the CPU-oriented benchmarks, the Dell E6320 scores top marks thanks to its high-end dual-core CPU. Other notable notebooks with the same CPU include the 2011 MacBook Pro, 13.3-inch Acer Aspire 3830TG and the 14-inch HP EliteBook 8460p. The E6320 CineBench R11 64bit CPU scores compare similarly to these notebooks (3.07 vs. 3.11 and 3.07 in the Acer and HP, respectively). Turbo Boost was automatically disabled in our review of the 13.3-inch MacBook Pro, so fair comparisons between the Dell and Mac in question cannot be drawn. Regardless, the E6320 scores very well in PCMark Vantage and PCMark 7 with 8007 and 2682 points, respectively, even without an equipped SSD. The Dell Vostro 3550 with the same Core i7 CPU, for example, only scored 7842 and 2059 in the same Vantage and PCMark 7 synthetic benchmarks. Meanwhile, the similarly equipped HP 8460p scored slightly lower still with 7734 and 1994 points in Vantage and PCMark 7, respectively. The Acer 3830TG, however, clearly defeats the E6320 in the two PCMark benchmarks with 12371 and 3928 points. This wide performance gap is mostly due to the 120GB MLC SSD in the reviewed Acer. By extension, users who want the ultimate responsiveness out of the E6320 should consider equipping the Dell with a SSD. In the GPU-oriented benchmarks, the integrated Intel graphics of the E6320 falls in line with what we expected. That is to say, not particularly impressive for 3D-intensive applications or gamers, but perfectly fine for most everyone else. It is worth noting, however, that the Intel HD 3000 in the E6320 appears to edge out most other notebooks with the same GPU. 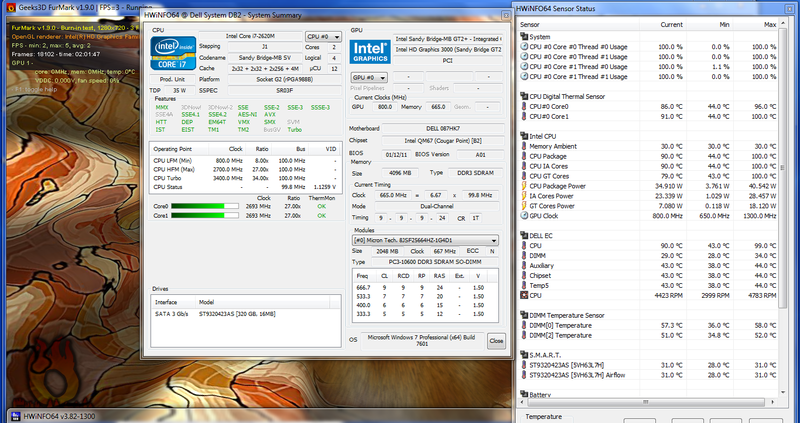 For example, the ThinkPad X220T and the ProBook 5330m with 1531 and 1382 points in 3DMark Vantage GPU, respectively. 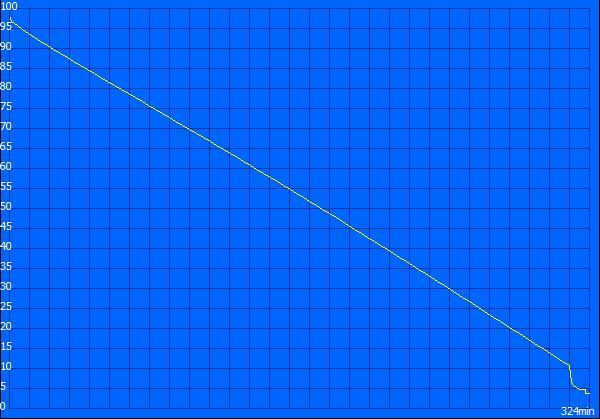 Note that this will not make much of a difference in gaming, so modern 3D games may only be barely playable. The E6320 is a core business notebook, after all. 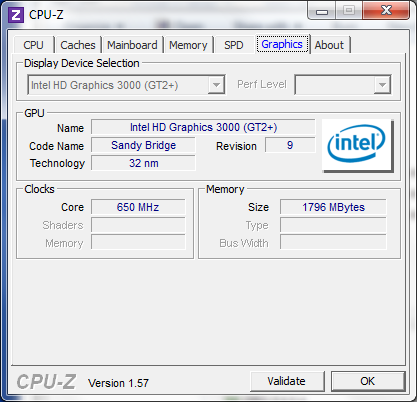 See here for our constantly updated list of gaming benchmarks done with the Intel HD 3000 in Sandy Bridge CPUs. Our configured unit came with a 7200RPM 320GB HDD with 16MB cache from Seagate, which is the most basic storage solution for the E6320. The model can be configured with up to a 500GB HDD or a 256GB SSD, with the latter option adding about $500 to the overall cost. The SSD configuration may be the next best thing since sliced bread for some users, but there are also encrypted Advanced Format 512e/4K HDD options as well for the more price-conscious buyers with sensitive data. The equipped Seagate drive showed an average transfer rate of 72.1MB/s on HDTune, which is good for a 7200RPM notebook drive. This is faster than the 7200RPM Western Digital (63.8MB/s) in the Vaio VPC-SB1Z9EB, but slower than the 7200RPM Hitachi (82.4MB/s) in the HP ProBook 5330m. It does, however, outperform the 5400RPM drive in the 2011 MacBook pro. Of the theoretical 320GB, 13.15GB is reserved for system recovery while 284.68GB is available for the entire default C drive. The E6320 is overall quiet, but could have been better. Like many other notebooks, the Dell can become quite noisy when stressed. When idle, a slight hum can be heard from the fan if in a relatively quiet room, which is unfortunate as even the HP ProBook 5330m with its full-voltage Core i5 CPU can be near-silent at idle. 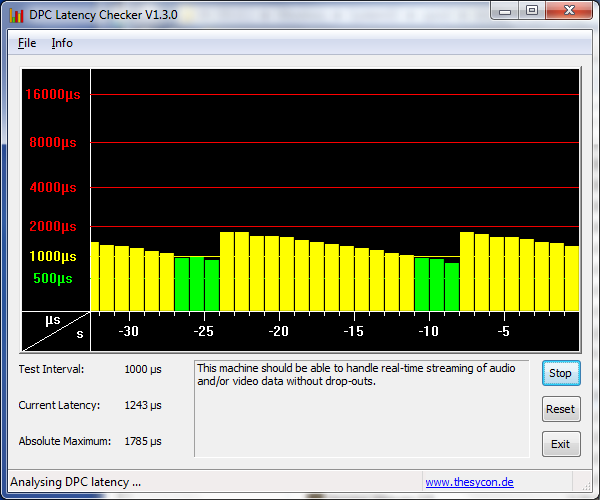 Unfortunately, the preset “Quiet” power plan of the E6320 did not make any subjective difference in noise levels. Luckily, fan noise didn’t increase when watching HD videos. To avoid noise from the DVD drive, we recommend streaming videos or loading them from the hard drive. If at full load (i.e., FurMark + Prime95), the Dell notebook reaches above 40 dB 15cm from the front. Note, however, that this is not the maximum fan speed if the notebook is not set to the “Ultra Performance” power option. 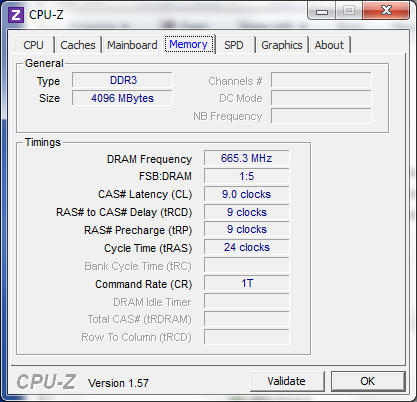 This option allows for maximum fan speed in order to limit any potential CPU throttling. We were able to measure a few decibels higher in noise levels when at this setting, which was subjectively louder as well. Temperature levels are very warm, even after standing idle for more than 2 hours. On average, the bottom base is about 2 to 3 degrees C warmer than the keyboard and palm rest areas, assuming an idled state. The top left of the notebook closest to the vent is noticeably warmer than the opposite edge of the notebook. When stressed with FurMark and Prime95 under the “High Performance” power option, the overall temperature change is not that large. The keyboard portion of the notebook remains relatively cool compared to the bottom side, although an even larger temperature gradient can be felt from one bottom corner of the notebook to the other. Granted, the ambient temperature during testing was a bit low at 18 degrees C, but the bottom of the notebook was not uncomfortably too hot for use. Hours of stress testing under FurMark and Prime95 produced no throttling issues. CPU and GPU activity were monitored with HWiNFO. As expected, CPU Turbo Boost up to 3.4GHz stayed active only for a short duration, but clock frequency eventually settled between 2.7GHz to 2.8GHz. Similarly, the GPU settled at around 700MHz to 850MHz speeds, and never dipped below 650MHz. When FurMark was stopped, both CPU cores were able to boost up to around 3.2GHz each. This is hinting that the extra voltage now available from the idle GPU is being usurped by the CPU. The 3DMark 06 CPU score immediately following the stress test remained largely the same at 3839 points. Similar in style to the Lenovo X120 and X121e, the twin speakers of the E6320 are located on the front edge and angled towards the desk. The two channels are rated at 4 ohms total and 1 watt each, so bass performance out of the miniature speakers are less than ideal. On the bright side, the speakers can be quite loud at maximum and the sounds do not distort as much as one would expect as volume is turned up. Considering the size, the speakers get the job done, but external solutions are still recommended for long music or movie sessions. The Latitude E-Series is interesting in that it offers not only a number of different size battery modules, but also a mix and match system for users to simultaneously use a main battery along with an E-modular battery. The main battery supply on the backside is available in 3-cell (30Wh) and 6-cell (60Wh) lithium-ion modules while the E-modular bay on the right side can accept a separate 3-cell module. In addition, a 9-cell (97Wh) lithium ion “Slice” polymer module can be attached to the E-dock connection on the bottom side for even longer runtimes. Users should also keep in mind that the 3-cell E-modular battery is smaller and lighter than the main 6-cell battery (0.224kg vs. 0.340kg) and that the E6320 can run normally solely from the E-modular battery. Thus, by attaching only the E-modular battery, users can effectively reduce the weight of the overall notebook by a small but noticeable margin. So, how long can the E6320 last? Our review model came with a 6-cell primary battery and a 3-cell secondary battery. For the primary battery, the Reader’s Test in BatteryEater was able to clock 324 minutes with the notebook at minimum brightness, WLAN disabled and set on “Power Saver” mode with Sleep disabled. The minimum battery life with the BatteryEater Classic Test had the notebook last for only 63 minutes with settings at maximum brightness, WLAN active and on the “High Performance” mode with Sleep disabled. If at 66 percent brightness in the “Balanced” profile, we clocked 237 minutes from web surfing and the occasional Hulu video. Of course, this value is highly variable depending on the user, but for a notebook with a 2.7GHz full-voltage Core i7, these runtime results are far from bad. Unfortunately, BatteryEater was unable to properly recognize and record from the E-modular battery. But, we were able to clock in at around 3.5 hours at more or less the same conditions as the Reader’s Test under “Power Saver” mode. Using both the primary and secondary will thus increase battery life accordingly. 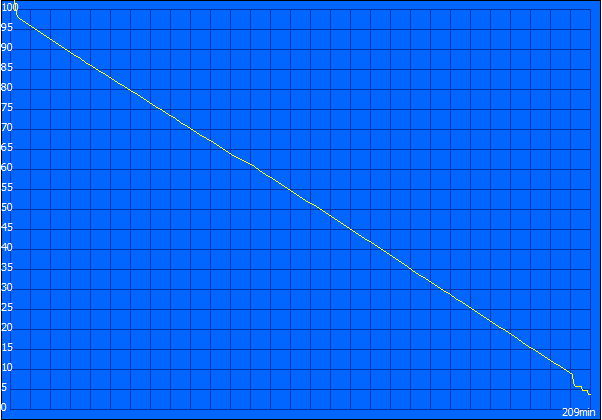 The notebook will first drain from the secondary before drawing any power from the primary if both are attached. The Latitude E6320 is a versatile business notebook at heart and delivers on its promises, at least in terms of its target demographic. That means if you’re looking for an extra lightweight notebook with minimalist designs, proper gaming abilities and an extra bright display, then you best look elsewhere. But, for the everyday business user, the E6320 excels in the most important areas. For one, its durable and thick build quality means it can take much more bumps and bruises while on the move than say other more lightweight and thinner alternatives, even if those alternatives use similar metal alloys. The Dell absolutely screams “longevity” and “robustness”, which is quite impressive for a small 13.3-inch, full voltage Sandy Bridge notebook. Secondly, the connectivity options possible by the E6320 E-dock and E-modular bay make this notebook a jack of all trades for expandability. The fact that the user can extend battery life, snap in an optical drive or add additional ports on the fly can certainly prove to be priceless. A fully decked E6320 with WWAN connectivity, GPS, vPro, Bluetooth and a handful of attachable accessories has a good chance of filling in the role of a primary and reliable work laptop. However, users should be aware of the average screen, relatively small touchpad and somewhat pricey accessories, especially if multiple modules are needed. While the notebook itself starts at a relatively high $1019 for the base model as of this writing, you can be sure that the E6320 is both a solid performer and an adaptable marathon runner.